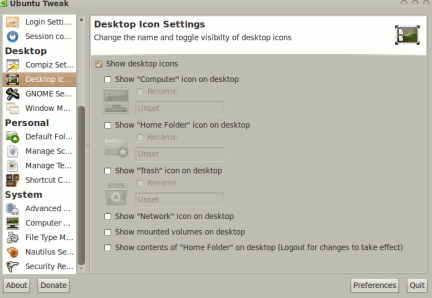 Ubuntu 10.04(Lucid Lynx) is very fast and easy to customize but desktop settings and system configuration is still not so easy for the new users who just migrated from windows based system.That’s why in this post you will learn about a software(tool) that you can use to customize Ubuntu 10.04 in much simple way.That application name is ubuntu tweak,a free and open source software. 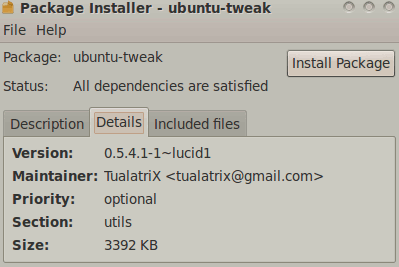 Ubuntu-Tweak is an application for configuring ubuntu in more easy way and useful for both novice and advanced users.It allows you to change the look and behavior of desktop as well as to administrate system configuration that is usually not available in the GNOME or KDE desktop. control desktop and mounted volume icons i.e whether they will apear and not. 1. 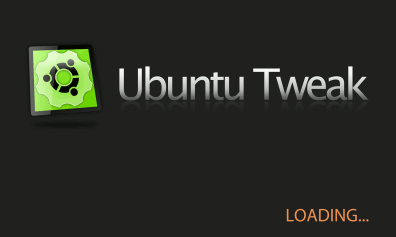 Download ubuntu-tweak_0.5.4.1-1_all.deb file from the official website(Link is given below) of ubuntu tweak. 2. 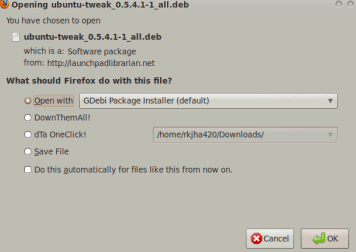 Then click on Download Now and open the file with GDebi package installer or just save it on your computer. 3. After the completion of downloading,installation process will begin automatically(If you have selected 2nd option in the above step then right click on the file and open with Gdebi package installer).A new window will appear click on install package to begin installation. 4.Installation will finish within a minute. 5. That’s all..Now you are ready to tweak your ubuntu computer. 1. Open ubuntu terminal or shell from Applications->Accessories->Terminal or Hit CTRL+ALT+T. 3. That’s All..you have installed ubuntu-tweak successfully. Click on Applications->System Tools->Ubuntu Tweak to start the application(ubuntu tweak).Now select the options from right sidebar and customize you system and desktop settings it in few mouse clicks.